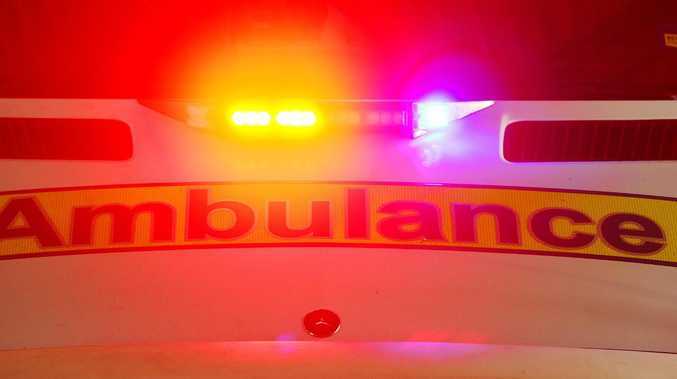 A VENOMOUS snake may have been chasing lizards, rather than rubber ducks, when it found its way into a Tablelands man's bathtub. 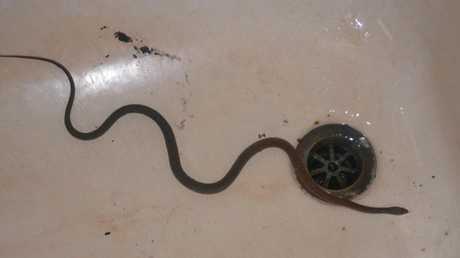 Paul Gobert was surprised after finding a yellow-faced whip snake in his bath at his Malanda home on Tuesday night. 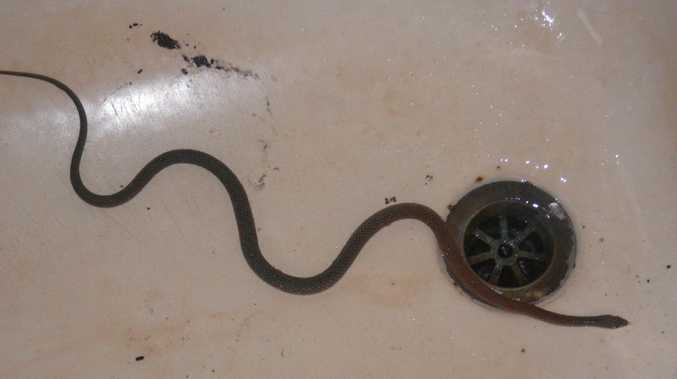 Mr Gobert said he was lucky he was not about to shower in the tub when he encountered the 1m long mildly-venomous serpent. "I use the bath regularly," he said. "I rent some of the rooms out in my house, so I advised the others to use the plug when they have a shower." Yellow-faced whip snakes are venomous, however not regarded as dangerous towards humans, according to the Australian Museum. The species, which is found across eastern Australia, is often mistaken for the far more lethal eastern brown snake. Mr Gobert believed the reptile had found its way into his bath tub chasing lizards - which he had also found inside the tub - up through the plug hole. He said he tried to encourage the animal to climb onto a broom, but it ended up escaping back down the hole. "This one was very calm," he said. "It wasn't too fussed about it, and seemed like a very charming snake. "I think I'll be getting out and sealing up any gaps where snakes could be getting into the house."